While students at Mercer University gain a world-class legal education and a degree that commands respect, the university wanted students to have opportunities to participate in a variety of interests and activities. Recreational Sports and Wellness is located in the University Center comprised of five major program areas: aquatics, fitness/wellness, intramural sports, outdoor adventures, and sport clubs. 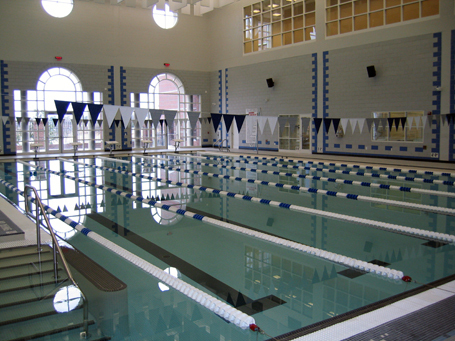 Counsilman-Hunsaker, in association with Cooper Carry Associates, designed the indoor state-of-the-art aquatic complex for Mercer University students, faculty, and community. The beautiful, light-filled natatorium features a six lane 25-yard pool, starting blocks, and a hydrotherapy chilled pool. The swimming pool is primarily used for lap swim and aqua aerobics classes.